Helps you to trade safely internationally, whether your customers are in the Republic of India, Pakistan or further afield. 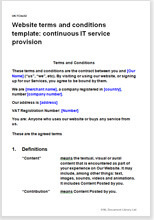 he law in these T&C is largely common law that deals with the basics of contracts: offer, acceptance, price and payment, delivery, returns, dispute resolution, liabilities and risk. Provided you comply with the law, you can set whatever terms you like.